Personifying trance musicâ€™s energy in both approach and output, Italyâ€™s Giuseppe Ottaviani has long been recognized as one of the genreâ€™s most respected and prolific merchants. From his earliest studio work (as the engine behind famed group NU NRG), through to his latter-day releases under his own name, he has established himself as a benchmark for eminent trance. 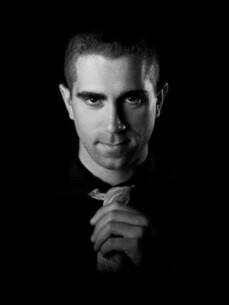 Over the last 6 years his boundary-breaking in-concert experience Giuseppe Ottaviani Live! has put hundreds of thousands of hands in the air and feet on the floor at the worldâ€™s best-known EDM festivals. Exclusively feeding these performances is his vast litany of club hits and remixes, of which â€˜Readyâ€™, â€˜Angelâ€™, â€˜Linking Peopleâ€™, â€˜Through Your Eyesâ€™ and â€˜No More Aloneâ€™ are but a few. Giuseppeâ€™s remains both contemporary and omnipresent in the scene with of-late productions like â€˜Falconsâ€™, â€˜Arcobalenoâ€™ and most recently â€˜Lost For Wordsâ€™, â€˜Earth Beatâ€™ and â€˜Love Will Bring It All Aroundâ€™ continuing to win trance hearts and minds. In May 2013 Ottaviani released his 2nd artist album â€˜Magentaâ€™.